Soft green and salmon tones enhance the warmth of this room with Victorian décor. 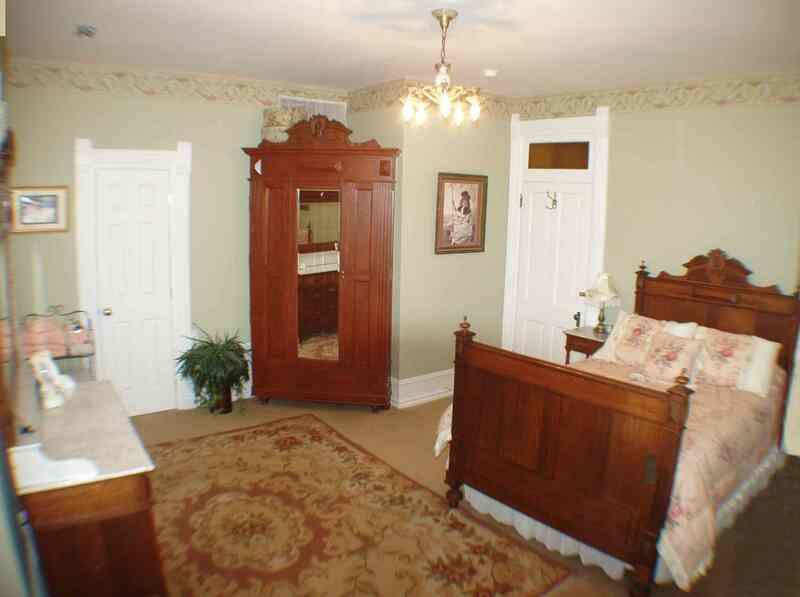 The antique European furnishings include a full size bed, bedside tables, and dresser. Relax in the turret room on the quaint Victorian settee while enjoying the panoramic views of Pueblo’s historic North side and the Wet Mountain Range from this second floor room. Includes your own private bath and shower.